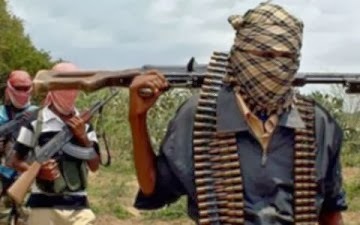 The Commanding Officer of the Special Battalion enforcing the state of emergency in Mubi, Adamawa, Beyidi Martins, said soldiers killed 12 gunmen who attacked Mubi Central Market on Wednesday. The bureau de change shops in the market were attacked about 20 gunmen, killing and injuring about 10 people while they stole an undisclosed amount of local and foreign currencies. Martins confirmed that the soldiers caught up with the escaping criminals near Digil village in Mubi, where a shoot-out ensued, leading to the killing of the 12 insurgents. He said some amount of money and weapons were recovered from them. This is the second time within the year that the market will experience such attacks on the bureau de change section of the market. On each of the occasions, the army succeeded in arresting some of the gunmen. Some residents of Mubi who spoke on the situation, commended the army for the effort. “They deserve commendation and sustained support and cooperation of the public to enable them to continue the good job,” the residents of the commercial border town said.